Joomla is a highly versatile software which is open source. It is available as a free download for just about anyone to download and install. One of the main reasons it has become very popular is that fact that is very user friendly and has a low learning curve. But even the greatest of software can fall prey to the mighty hackers. Thus Joomla has many good security features which includes a very strong user and admin passwords as well. But it does help to do your bit to help prevent your website from being hacked. One of the venerable issues with almost all the content management systems including Joomla is the name of the databases. 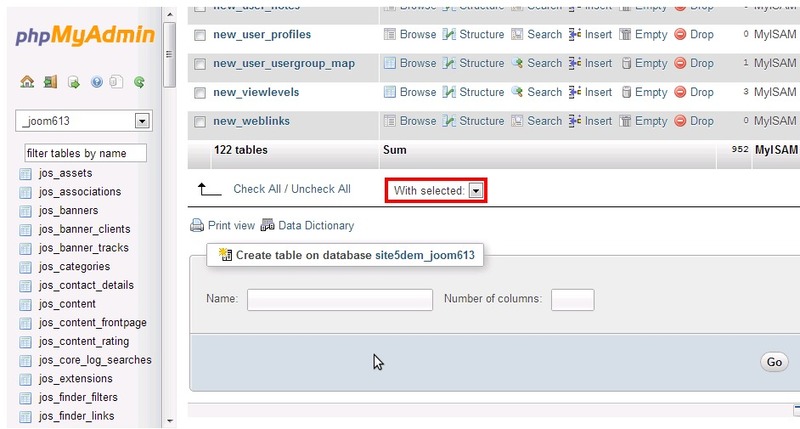 The name of the database tables remain the same for each Joomla installation. 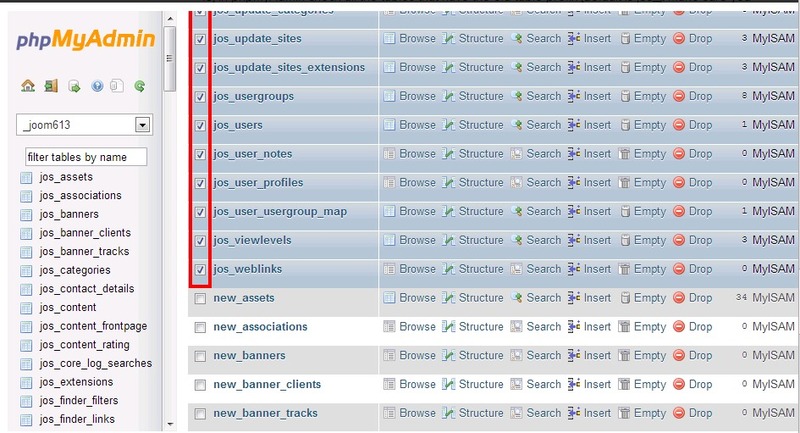 But Joomla does provide you with the feature where you can have your own prefix to the name of the table thus making the name of your tables unique. The best way to prevent hacking attempts is to change the prefix from the default to something quite random. You will need access to the control panel of you website. Hence first login to the hosting control panel of your website. Once in, navigate to the database section of the control panel. Here you will find a database administrator. The most popular one around is phpMyAdmin and that is the one most likely to be used on your server as well. If not you need to look for the database administrator that you have in your control panel and select it. Select your database and hit the export button to download it to your computer. It is now possible to edit the SQL file in your favorite editor. You can use the powerful features of the editor to search and replace the existing prefix with the new one. Once ready to upload you can go back to your control panel and import the database back to your server. Make sure you delete the existing database prior to uploading the new one. That can be done by simply dropping the existing database. Now you will need to check the database table prefix currently set by logging in to the admin section of your Joomla website and navigating to the Global Configuration section like Site >> Global Configuration. Now hit the Server tab on the page that loads and look for the ‘Database Tables Prefix’ field. Make sure to change this to the new prefix that you have selected and save your settings. That is all that is required; you should be all set to go and have a fully working website too. The task of changing the database tables prefix should ideally be carried out during installation. However if the Joomla Web developer that you have hired has kept it the default or in the case where you have developed it yourself and have forgotten to change it then it is possible to change it via the method mentioned above. It may seem like a daunting task to many users hence people at Alakmalak who are involved in Joomla Web development can help you out with such tasks. In fact they can solve any issues you have with Joomla (big or small).